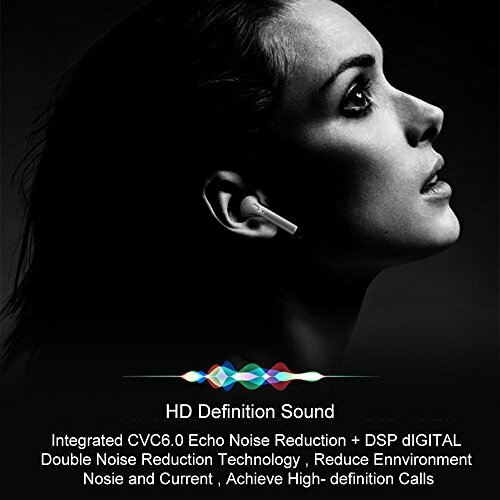 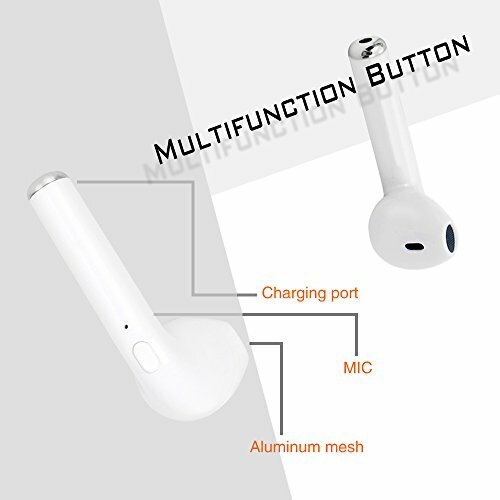 Bluetooth Earbuds,ASMOTIM Wireless Headphones headsets Stereo In-ear Earpieces Earphones for Apple airpods iPhone X/8 /8P/7/ 7 P/ 6/ 6SP Android, Samsung, Galaxy and More♥STEREO SOUND: High quality CSR chips, these earbuds deliver Hi-fi stereo crystal clear sound, great noise canceling effect, let you focus on your favorite music anywhere at anytime. 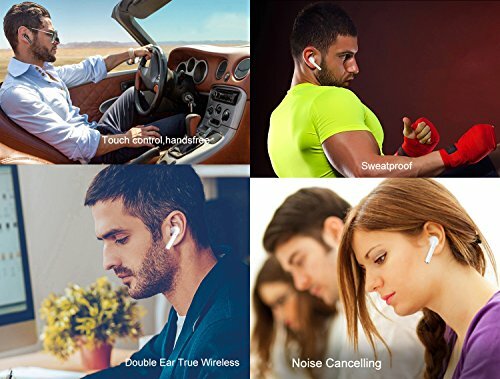 ♥COMFORTABLE WEARING: Ergonomic design, secure fit, no trouble some wires from tangling or around your neck. 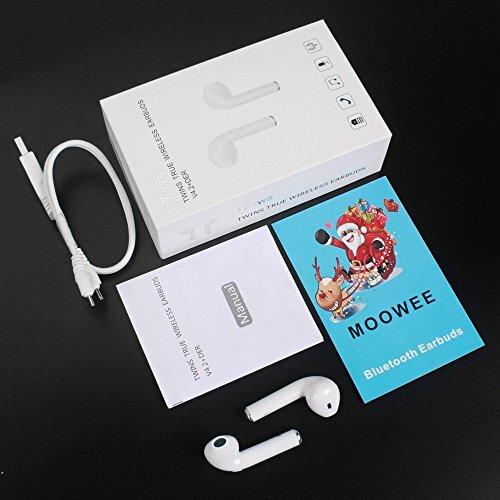 Super mini earbud, ultra lightweight, only 4g, start enjoy your wireless life with this new Bluetooth headphone . 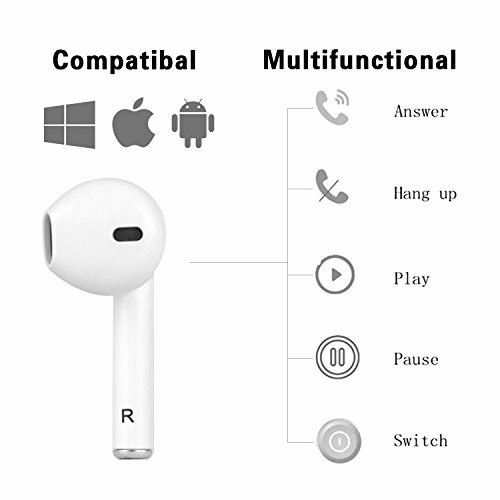 ♥BLUETOOTH V4.2 WIRELESS TECHNOLOGY: It can connect with 2 different devices simultaneously, would connect automatically with a phone paired previously. 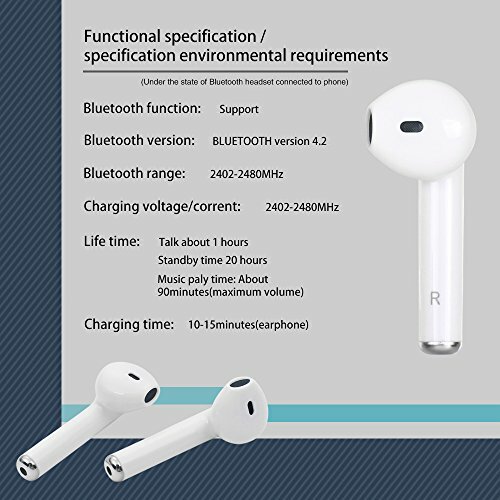 Ergonomically shaped mini earpod provide long time comfortable wearing.